Otherwise known as home from January 8th - April 25th. I remember coming to BYU and during that first week of school some girls in my hall were talking about study abroad programs. I remember a girl explaining how the only place her dad would pay for her to study abroad was Jerusalem. I remember thinking that was cool and how neat Jerusalem would be, but at the time I had my heart set on studying in South America to work on my Spanish. That was that. 6 months later my small wish to study abroad started to became an overwhelming desire and a definite possibility. 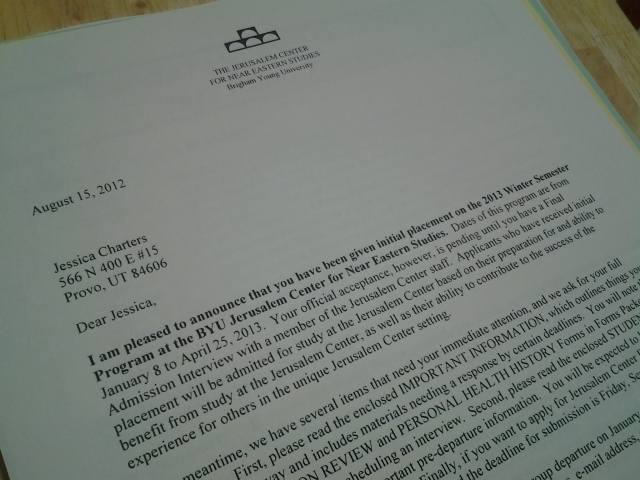 After deciding to major in Communication Studies I went and talked to a counselor. I had two more prerequiste courses to take at the time. One was offered in the summer and one in the fall. I registered for the classes thinking that I could apply for the program to be accepted the following winter semester (Winter 2013). Turns out, I couldn't. I would have to wait to start the following Fall. At the time this was a year and a half away. I was extremely frustrated. To top it off they wouldn't let me start any of my major classes. It was looking like I'd either have to wait around and take unneccessary classes, which I most definitely didn't want to do, or take a semester off of school and work or be an intern. The second option wasn't so bad except for the fact that I had a scholarship that I felt I needed to use it while I had it. This was not a good time for me. I can't remember exactly how it came about, but somewhere somehow I realized I could use my scholarship money toward a study abroad. I slowly came to realized this is the ideal time for me to go. The stars were begining to line up perfectly. By this time I knew I wanted to study abroad for sure, but the question was where. I thought about South America (at the time this was still my first choice), Africa, or even India. But for one reason or another none of them seemed right. My dad would often remind me how awesome Jerusalem would be, but I just couldn't see it at the time. My last Sunday in my freshman ward was a testimony meeting. The second counselor to the bishop bore his testimony. During it he shared his experience of traveling to Jerusalem as a young college student. He told us of how he and his buddies planned to stay in Jeru for a few days and then travel on to Greece, but once they got to Jerusalem they canceled all other plans and spent the entire week in Israel, skipping Greece completely. That cool and all, but then he began to share his feelings about the Savior. He shared his experiences of walking where the Savior walked. 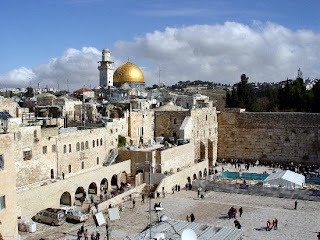 He expresed his desire that we all attend Jerusalem someday. I knew that if I wanted to go to Jerusalem someday (which I most definitely did) now was the time. I remember telling my parents that Sunday that I had finally made my decision on where I wanted to study. They were excited for me but reminded me of how difficult it is to get into the program. I was trying not to get my hopes up too high. But after studying Jerusalem more, looking at the pictures of my dad's trip and following the blogs of BYU students who attended the Jerusalem Center my heart was set. 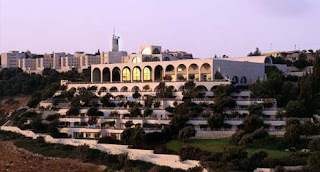 I wanted nothing more than to live and study in Jerusalem. Prayers are answered. Dreams come true. In 4 months I begin the journey of a lifetime in the land of our Lord. I could not be more excited.